So I’ve been complaining about my hair recently, but now I’m loving my hair again! 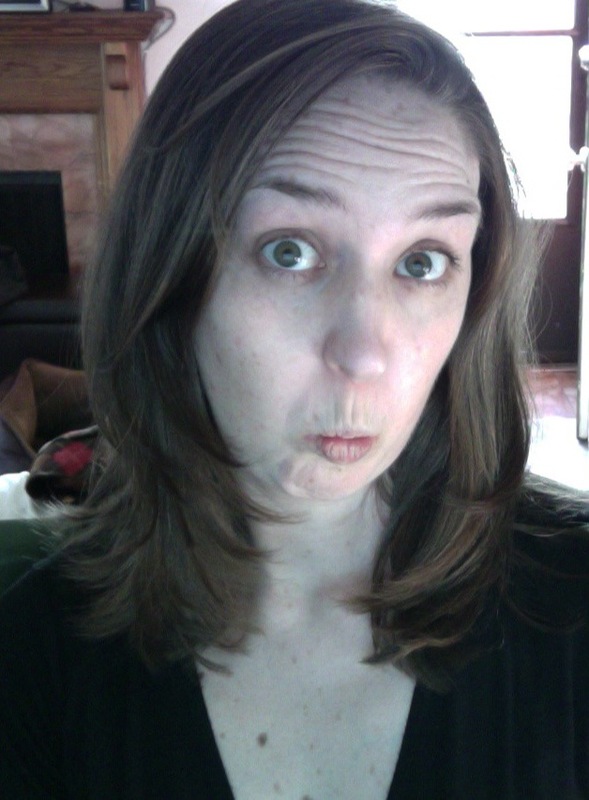 I went and got a real haircut, from my hairstylist from years ago (before she moved away and then came back!) and now I remember exactly why I loved her so. I don’t even know how many inches she took off, but I do know that my hair now is a manageable length, isn’t getting frizzy and tangled being left down and, most importantly, is not shedding clumps every time I move. I’m still most likely shedding a lot of hair, but since each hair is so much shorter now, it’s not as noticeable. It should also be a lot lighter on my head (hair is surprisingly heavy), and easier to take care of too. Nothing like a good haircut! Love it! Especially the side part-y thing. Great haircut – so glad she came back to cut your hair. You're inspiring me to get mine chopped!! Yay! There's nothing quite like a great haircut! It looks great! !